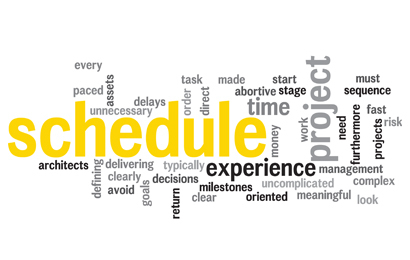 In our experience, in order for a schedule to be meaningful, it must be direct and uncomplicated. Furthermore a clear sequence of decisions need to be made at each stage of the project to avoid unnecessary delays or abortive work. KRAUSE ARCHITECTS have experience in delivering complex and fast paced projects on time and typically look to start every project with a task oriented schedule clearly defining the project’s milestones and goals.